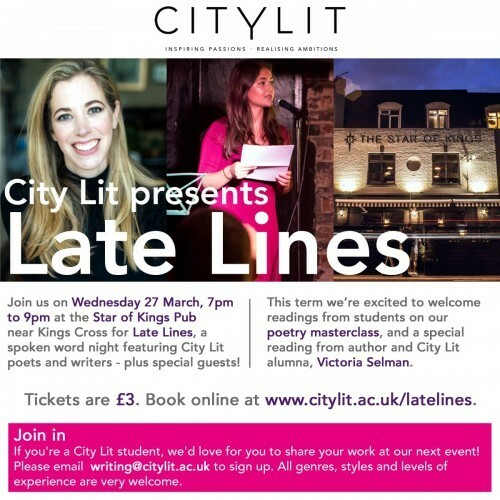 I loved headlining the City Lit's Late Lines event at the Star of Kings and listening to all the talented students read extracts from their poetry and novels in progress. My writing journey started at the City Lit six years ago when I signed up to a creative writing course- followed fast by another because I'd enjoyed the first one so much. So it felt very moving for me to go back to where it all began.